Dmitri grew up playing the trumpet. He started playing the Scottish Highland Pipes in 1989 under the tutelge of Rodderick "Little Roddy" MacDonald. He is probably most known for his decade long stint playing with the renowned shanty band, Hogeye Navvy. He’s a multi-instrumentalist who’s been featured in a number of regional bands such as, Ennis Clare, The Irish Airs, and The Emily Ann Thompson Band playing the highland bagpipes, Irish flute, penny whistle, concertina and accordion. Dmitri has studied with Irish flute artist including: Mike Rafferty, John Skelton, and Chris Layer. 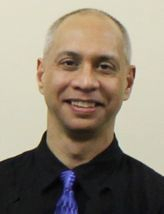 He holds a bachelor of Music Education from Butler University. He’s taught high school bands for nearly two decades and is currently the director of the Indianapolis Céilí Band. For more information contact him at IrishArtsIndy@gmail.com or check out Dmitri's Website.